The infamous killer Michael Myers strikes again in Halloween, arriving on Digital and via the digital movie app MOVIES ANYWHERE on December 28, 2018, as well as on 4K Ultra HD, Blu-ray, DVD and On Demand on January 15, 2019. 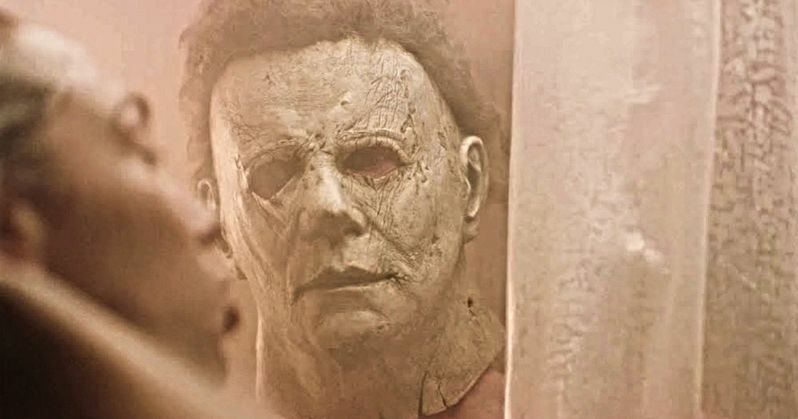 Hailed by critics as "a near perfect blend of craft, character growth and nostalgia" (Perri Nemiroff, Collider), Halloween takes place four decades after Laurie Strode (Jamie Lee Curtis, Halloween Franchise, Scream Queens) narrowly escaped the masked Michael Myers' brutal killing spree. Packed with bonus features including chilling deleted and extended scenes as well as special featurettes showing behind the scenes looks at creating the film, Halloween delivers spine-chilling, hair-raising intensity and thrills to both new and repeat viewers. Master of horror John Carpenter (Halloween (1978), The Thing) joins forces with director David Gordon Green (Joe, Pineapple Express) and producers Jason Blum (Blumhouse), Malek Akkad (Trancas International Films) and Bill Block (Miramax) for this follow up to Carpenter's 1978 classic horror film. Halloween also includes a stellar cast including Judy Greer (Ant-Man and The Wasp, Jurassic World), Andi Matichak ("Underground"), Will Patton (Armageddon, The Punisher), and Virginia Gardner (Project Almanac, "Runaways"). Proving "classics never die" (Mara Reinstein, US Weekly), Halloween offers a tricky treat for audiences both old and new. Halloween is the perfect slasher film, lauded as "hands down the best Halloween sequel ever" (Katie Walsh, Nerdist) and "immensely entertaining" (Eric Eisenberg, Cinemablend). The film will be available on 4K Ultra HD in a combo pack which includes 4K Ultra HD Blu-rayTM, Blu-rayTM and Digital. The 4K Ultra HD disc will include the same bonus features as the Blu-rayTM version, all in stunning 4K resolution. Halloween was released this past October to become one of the biggest hits of the fall. It has grossed $250 million worldwide, and a sequel is already being planned. You can check out the Halloween cover art direct from Universal Pictures Home Entertainment. Also included is the first deleted scene which pays homage to Psycho with a shower mask visit.